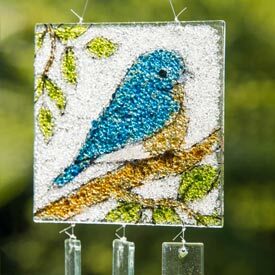 A pretty little bluebird perched on a branch makes a darling picture on a durable glass plate. 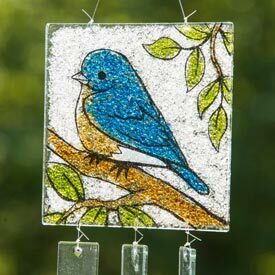 When the sun shines, the sweet scene sparkles, thanks to glass pebbles fused to the back. 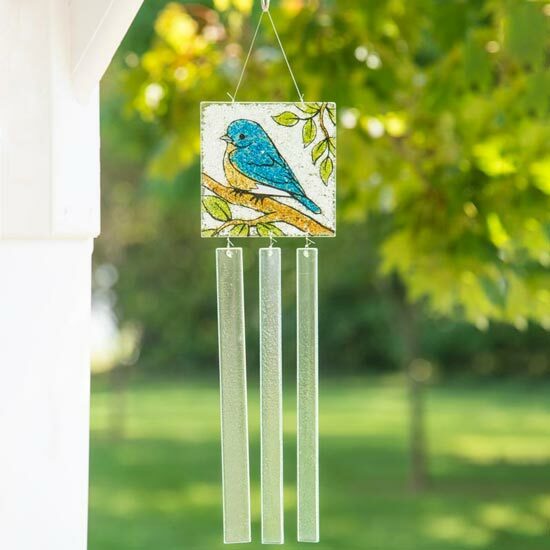 The long glass chimes suspended below make a cheery tinkling sound as breezes start them swaying. 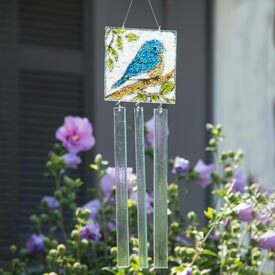 They're attached by strong, sturdy monofilament line, and a metal ring at the top makes for easy hanging. 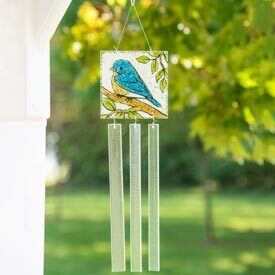 If you plan to hang it outside, choose a protected area, like a porch, and take it down during overly windy weather. I bought this a few years ago and re entry broke. I will be buying it again.